Video clip synopsis – Ancient Australian creation myths of the Rainbow Serpent can be traced back in rock art at least 6000 years. All Rainbow Serpent stories share a common thread; the fundamental role of water in nature’s cycle of growth and regeneration. Broadband MP4 rainbowserpent_bb.mp4 (5.1MB), suitable for iPods and computer downloads. 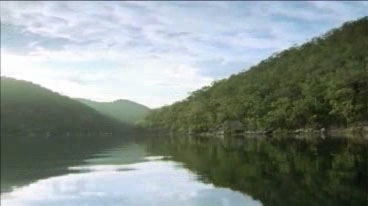 The Rainbow Serpent is a video clip from the documentary series and website First Australians produced in 2008 by Blackfella Films for SBS Television. First Australians chronicles the birth of contemporary Australia as never told before, from the perspective of its first people. First Australians explores what unfolds when the oldest living culture in the world is overrun by the world’s greatest empire. discuss and reflect upon the historical, cultural and contemporary relevance of Australian indigenous mythologies, using the archetypal The Rainbow Serpent imagery and narrative as a prime example. plan and write a considered analysis of the way in which contemporary media (film) approaches ways to present indigenous narrative archetypes such as The Rainbow Serpent to a wide general audience. draw on their learning on this topic to create relevant imagery and text for a specific contemporary audience. work collaboratively to build upon their appreciation and awareness of the wider educational issues surrounding the topic by planning, organising and presenting an informed and persuasively argued, documented report. Ancient Australian creation myths of the Rainbow Serpent can be traced back in rock art at least 6000 years. Both in art and oral narration, the myths differ slightly from one region to another. However, all the stories share a common thread; the fundamental role of water in nature’s cycle of growth and regeneration. Fertility, drought and flood are all aspects of nature that resonate with the human condition, and all are inextricably linked to that precious commodity. The mythology of the Rainbow Serpent plays an important part in the harmonious coming together of different Aboriginal clans. In order to place the Rainbow Serpent into a wider context, this video clip should be viewed in conjunction with the other First Australians series video clips – The Songlines and Trade Routes. All of these elements of cultural life played a role in helping to maintain peaceful coexistence between clans, and respect for both the natural environment and mankind, with its complex history and customs. What is the Rainbow Serpent, and in what ways is it associated with the beginnings of life and death on Earth? In what ways might we not show respect to the Rainbow Serpent? How does the Rainbow Serpent express its anger when we do not properly show respect to it? Write a short observation of the ways in which the video clip uses the medium of filmmaking to evoke the presence of the Rainbow Serpent, its moods, actions and effects. As a viewer, explain whether you think this presentation is effective. Discuss in small groups how, in a modern, contemporary way, you could evoke the presence, in some way, of the Rainbow Serpent as an illustration, or painting, perhaps on poster paper, or as images in a book or magazine for children. From your discussions, plan and create a visual display. You may wish to add text descriptions to accompany your images. In pairs prepare, organise and write a report of 200–300 words for your state or territory’s school curriculum boards arguing why it’s important and relevant for all children in Australian schools to be taught about ancient indigenous mythologies such as the Rainbow Serpent. Consider, for example, contemporary aspects such as climate change, conservation and respect for environment.